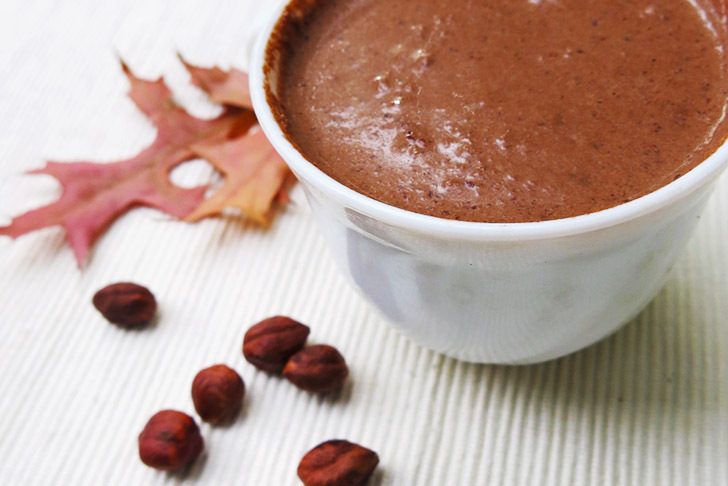 Quick and dairy-free, this homemade vegan version of Nutella is so luscious it will make every bite a celebration! It tastes very similar to the kind you get from the store, but it's healthier and made at home, so you know exactly what went into it. 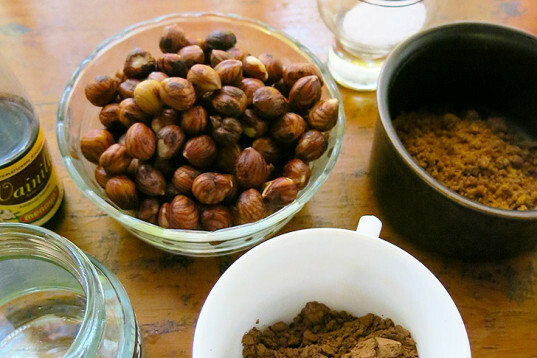 Just remember to activate the hazelnuts overnight, combine the few ingredients together and leave the blender do the rest of the work. 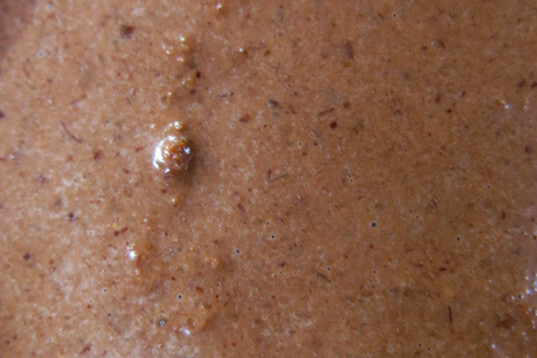 For this vegan take on the famous nutty spread we activated the hazelnuts overnight but left the skin on -- but you can make it with blanched hazelnuts if you prefer. Also, because it's homemade, it's unlikely you'll get the mix perfectly smooth like the bottled kind. This version has a slightly gritty texture, it's more rustic and natural, but the taste is incredibly similar and just as decadent! 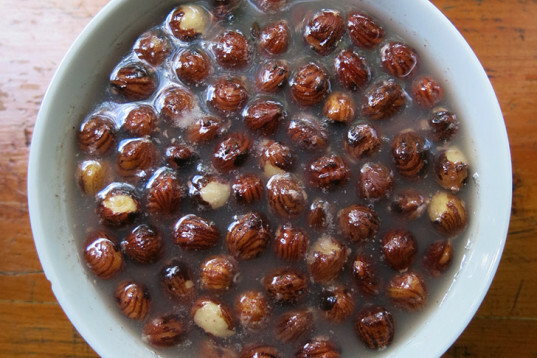 Wash the hazelnuts and leave them in water overnight, or for a few hours. Drain them. 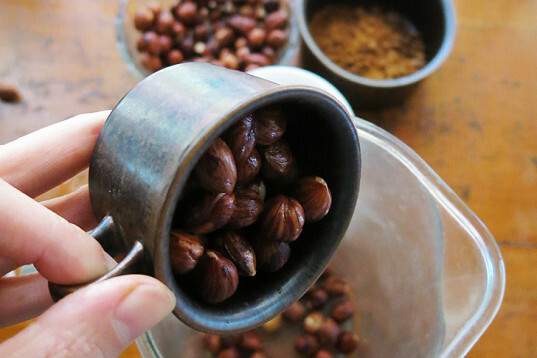 Process the hazelnuts in a food processor for about 2 to 5 minutes until they start to look like oily butter. 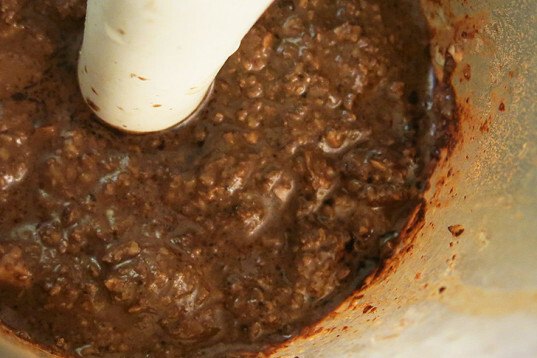 Add the sugar, dark cocoa powder, vanilla drops, salt and sunflower or hazelnut oil into the mix and process altogether. Keep adding oil, a few tablespoons at a time, until the mixture becomes smooth and glossy (similar in texture to jarred Nutella). Once you get the desired texture, place into a storage jar (for up to 6 weeks) or enjoy immediately on toasts, desserts or just dip a spoon in! 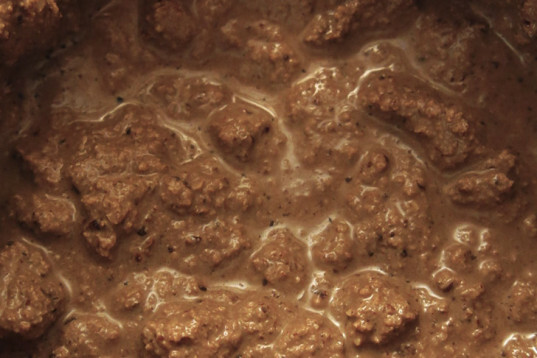 You can always add some dark chocolate chips or dates for extra darkness and sweetness, or if you want it less oily, swap some oil for almond milk or water.